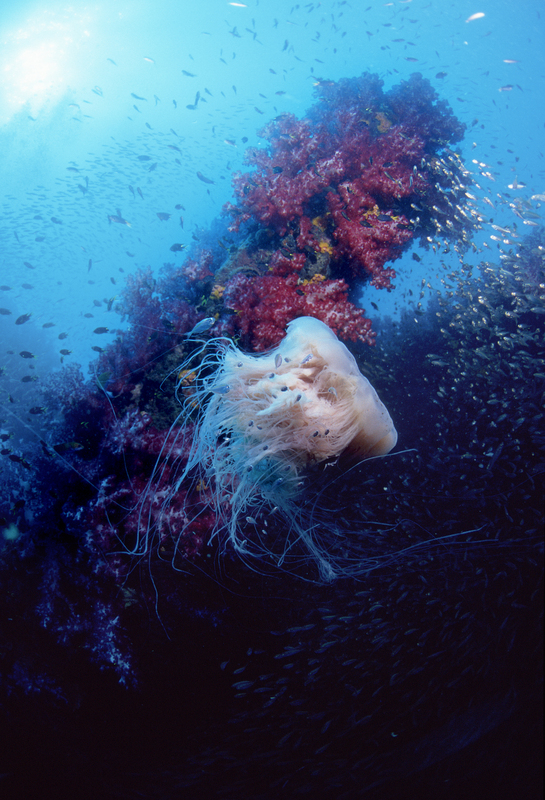 Jellyfish with Juvenile Jacks on Yongala Wreck, Australia. Photo © Rob Stewart. From the documentary film Revolution.